THE MARINE 5: BATTLEGROUND comes with two behind-the-scenes featurettes that bring fans to action ground zero. In “Evening the Odds,” fans discover that an amusement park isn’t all fun and games when the cast and Mike 'The Miz' Mizanin walk through how his character uses the setting to thwart off his enemies. “Superstar Studded” offers fans interviews from their favorite WWE Superstars, including The Miz, Curtis Axel, Heath Slater, Maryse and Naomi. 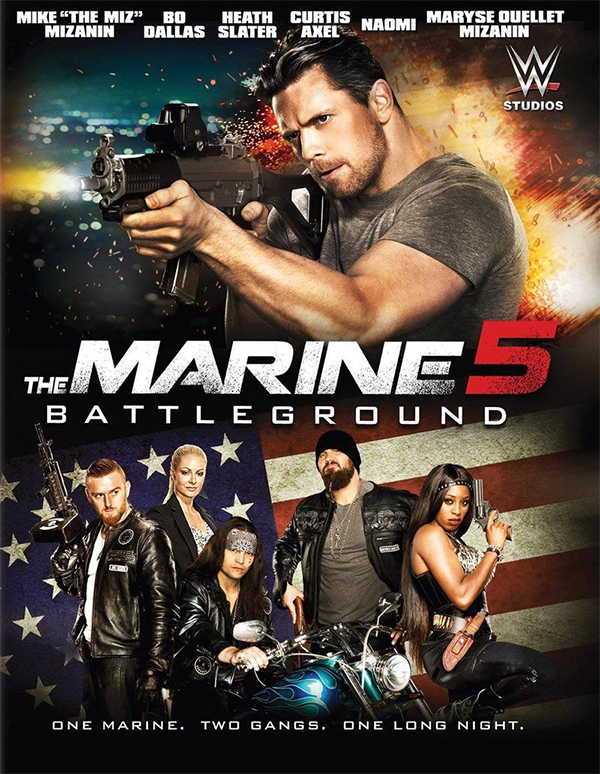 THE MARINE 5: BATTLEGROUND was produced by Jonathan DuBois.